The variety of species in San Diego really is nothing short of spectacular. And while each day is different, we are always excited to see what is the on the menu. 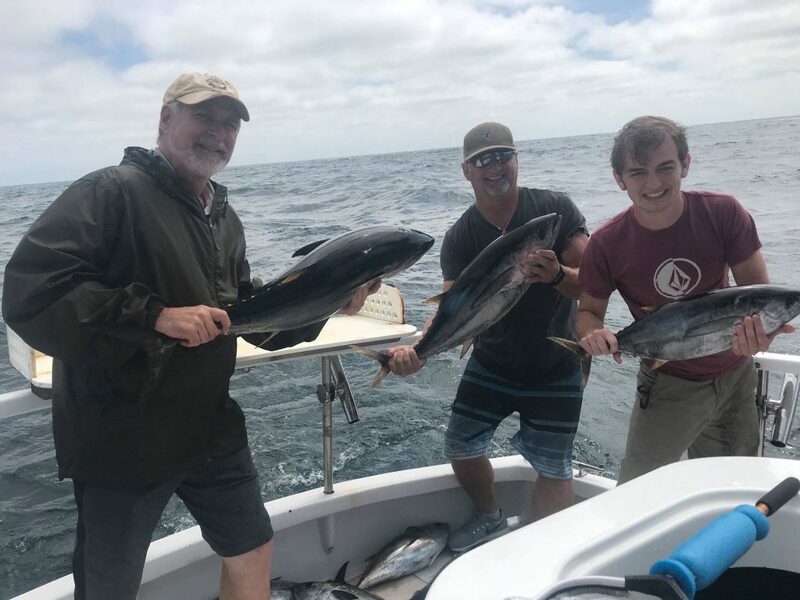 Recently Dorado, Mako Sharks and Tuna have been in close, making for some thrilling adventures. We even had a marlin on the line for 3 hours! We still have dates available in July as well as throughout the Fall. We look forward to creating a sportfishing adventure with you. Bonito Explode Starting Off The 4th Of July Celebration ! Captain Brian at the helm and first mate Mat on a ½ day local charter this morning. This morning Captain Brain opted to try his luck at some surface action and it paid off. They ended the morning half day with a dozen nice bonito with several more that never made it into the boat. Thanks Buck for choosing Coletta Sport Fishing for your fishing adventure. Great seeing you back out fishing again with us! 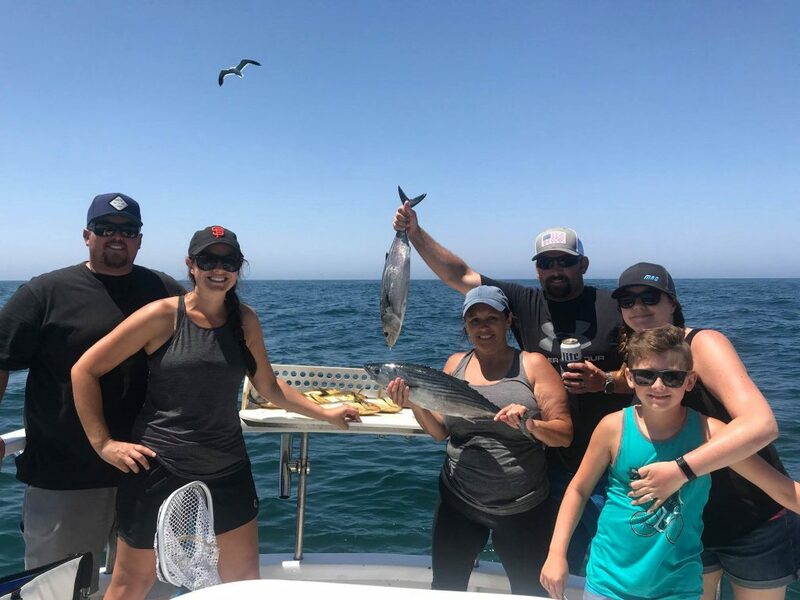 Awesome Group From Chico California Crush It – 40 Plus Fish Caught! Captain Hale at the helm and first mate Mat on a ½ day local charter this morning. 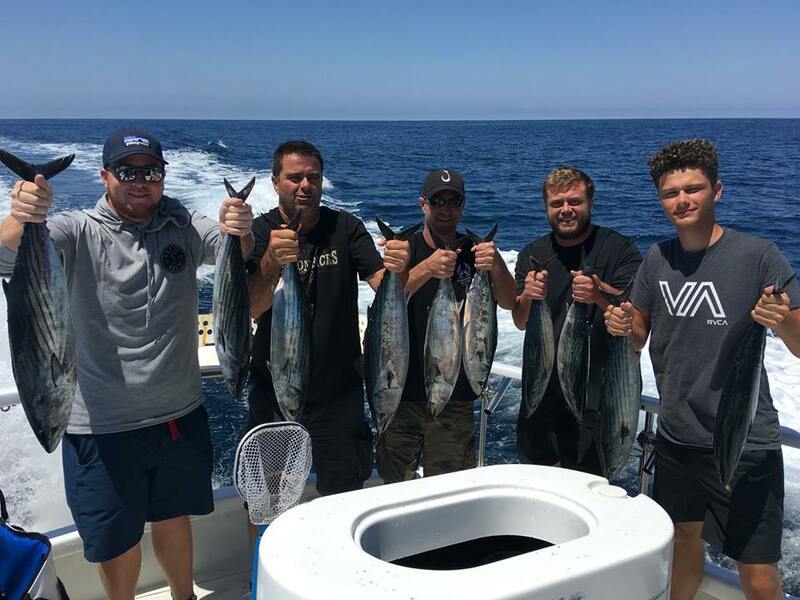 This group of anglers saw summer fishing at its finest with them starting out fishing for fast moving bonito, then changing gears and hitting the kelp for the bass. They caught 40 calico bass (35 released) and 3 bonito with a nice percentage of the calico’s being legal. Thanks Mallory for choosing Coletta Sport Fishing for your fishing adventure. 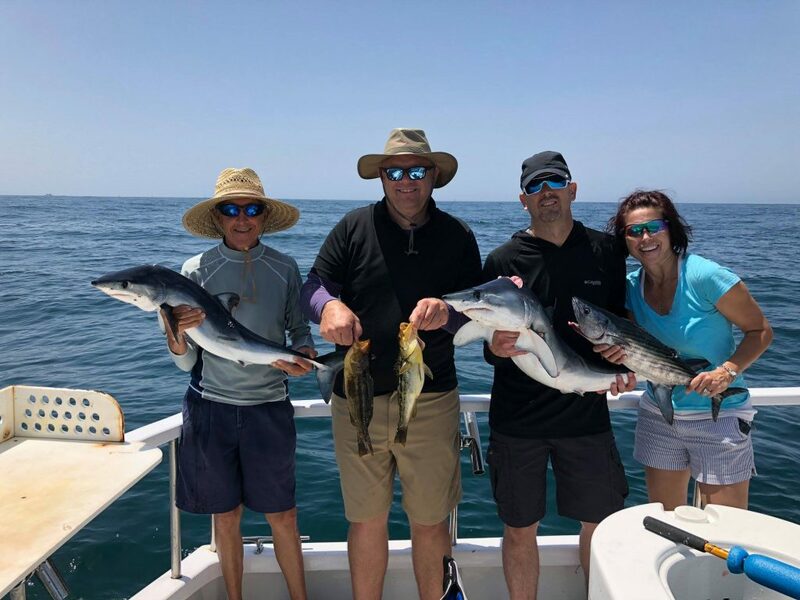 2 Hungry Mako Sharks & More For A Fun Group From Arizona! Captain Jon at the helm and first mate Hale on a ½ day local charter this morning. It was a beautiful day on the water with a fun group from AZ. 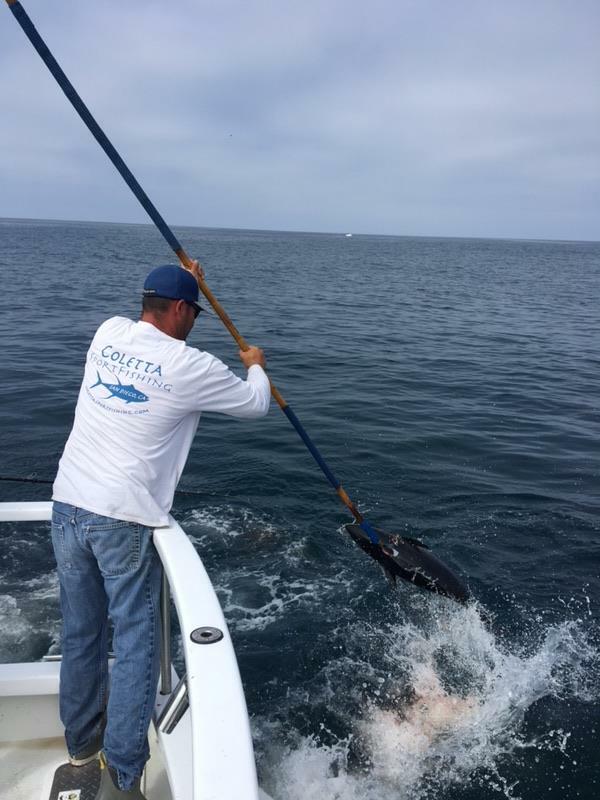 They started out trolling for Bonita and wound up with 2 mako sharks and a bonito. After that slowed down they went inside for some decent calico fishing. It’s starting to act like summer. 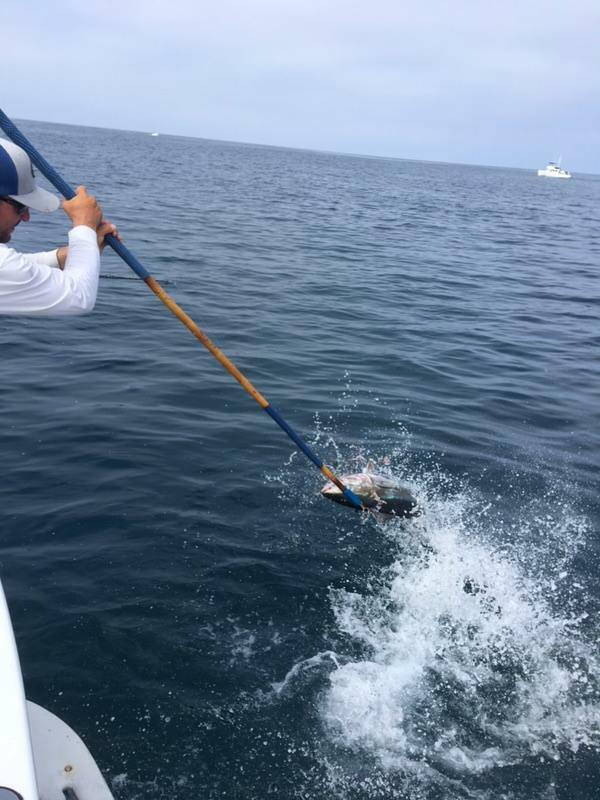 They caught 2 mako sharks, 1 bonito, 5 barracuda (5 released) and 25 calico bass (23 released). Thanks Michelle for choosing Coletta Sport Fishing for your fishing adventure. 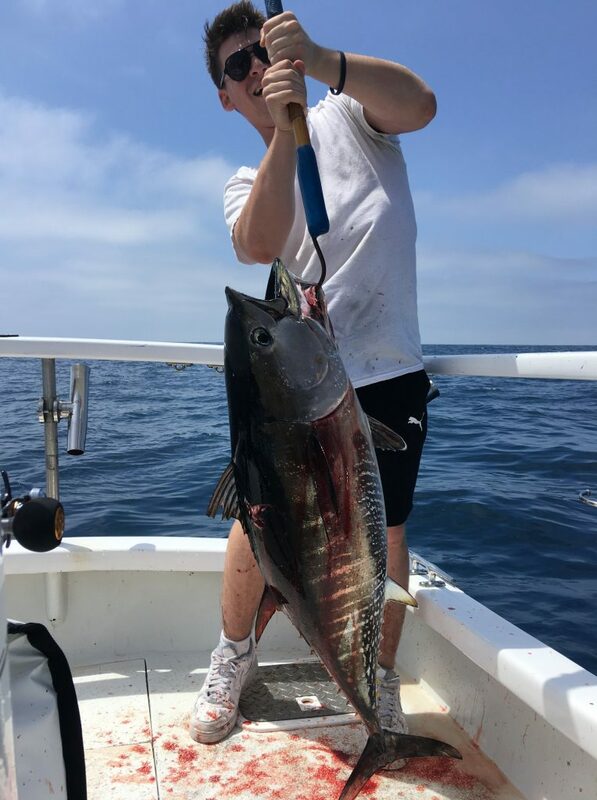 2 Pass – Bluefin Tuna Local Waters – Epic! Captain Brian at the helm and first mate Mat on a ½ day local charter this morning. They threw the Hail Mary pass on the morning half day and scored huge! 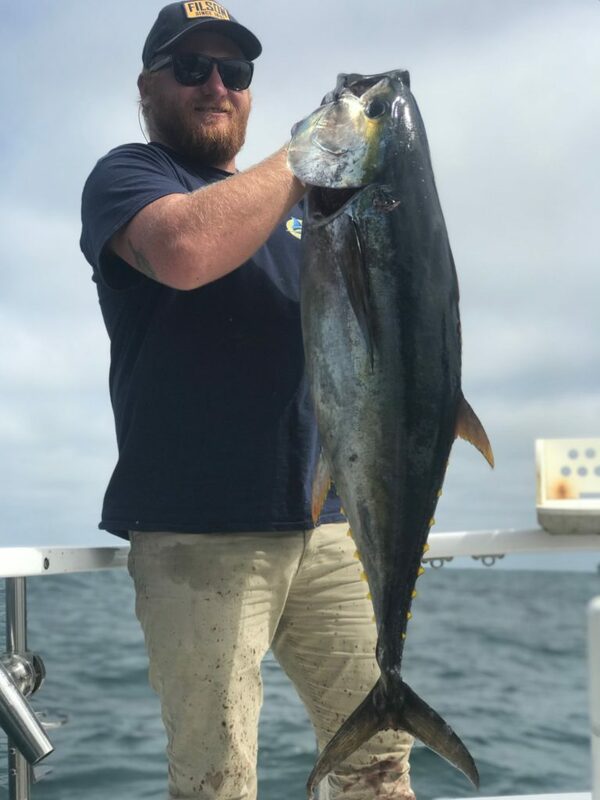 They connected with limits of chunky bluefin tuna for our group plus 3 for the crew. They also caught 1 yellowfin tuna and 2 bonito. Thanks Jason for choosing Coletta Sport Fishing for your fishing adventure. Quality Tuna Continues Close To Home – All On Top Water Lures! Captain Hale at the helm and first mate Mat on a full day offshore charter today. Running a gunning aboard the Wanu for this great group from Las Vegas. The group experienced first hand of fishing top water lures for tuna. Not a single live bait was used today! They caught 10 yellow fin tuna and 1 blue fin tuna. Thanks Bryan for choosing Coletta Sport Fishing for your fishing adventure. 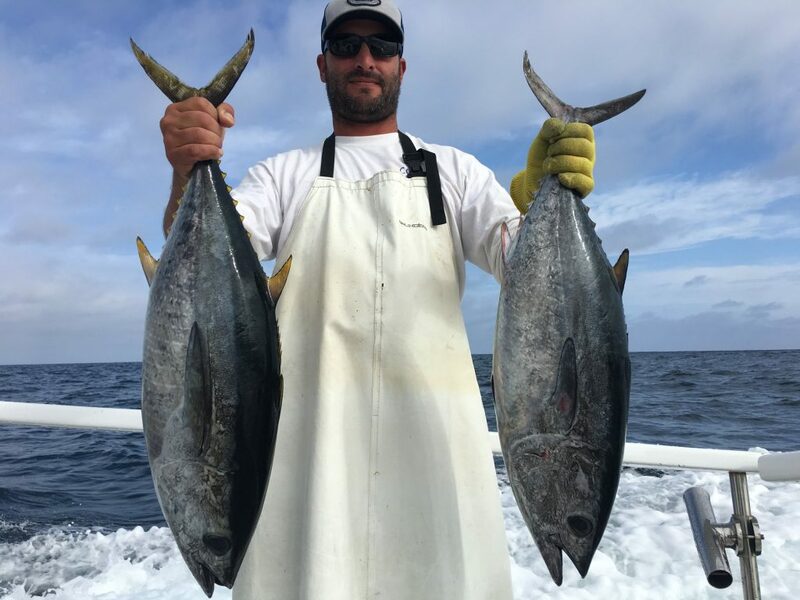 Marlin Madness + Quality Yellowfin Tuna = Amazing Day Of Fishing! Captain Brian at the helm and first mate Mat on a full day offshore trip. Today they went the distance for fish and we were fortunate enough to hook a striped marlin on 40lb line. After a 3 hour battle and several close shots at the fish, the line parted and they watched the toughest striped marlin they have ever seen swim away. While they fought the marlin they drove past many schools of tuna. In the short amount of time remaining we were able to hook 5 yellow fin tuna and keep 2 for dinner. It was tough yet exciting fishing and we left the tuna biting for the long run home.